Yes, CaliBurger is calling all Malaysian mobile gaming enthusiasts! 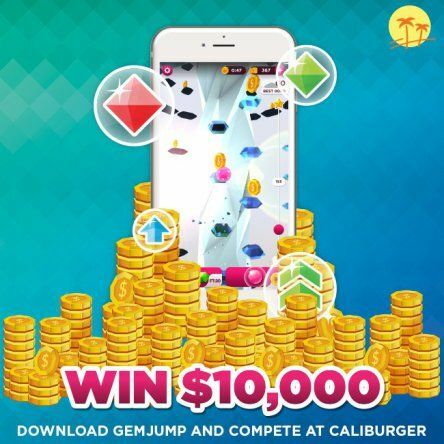 CaliBurger, a classic American burger joint, is sponsoring a global tournament based on the exciting new mobile game called GemJump. One grand prize winner from any part of the world will walk away with USD $10,000. All you need to do is dine at any Caliburger outlets in Malaysia and join in the gaming fun. The tournament, which began on September 26 and runs for 14 days, has been receiving increasing interest from Malaysians who are not just gaming enthusiasts but also those joining in the fun while dining at Caliburger. Surprise, surprise!!! Malaysia is one of the 10 participating countries in this exhilarating gaming challenge and is currently one of leading countries on the global leader board. This is truly an amazing experience for me as you don’t always get an opportunity to play video games on a big screen while dining out with my family and the tournament makes it more exciting as I can stand a chance to win RM40,000. 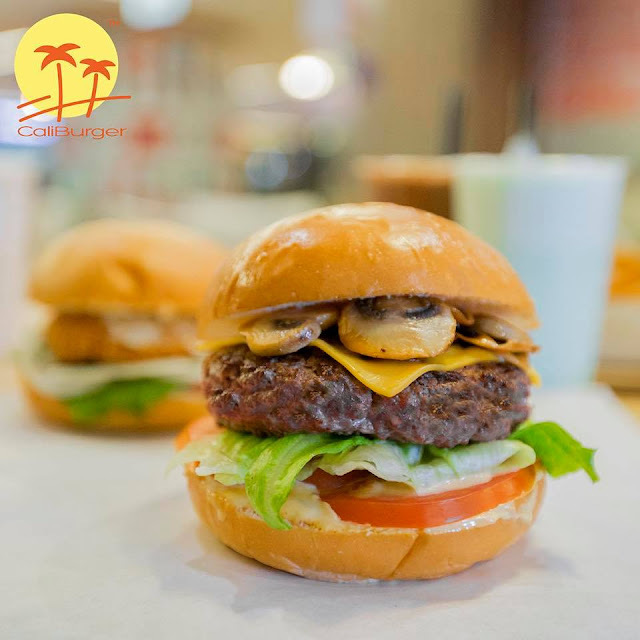 It’s great that Caliburger has introduced this gaming experience for their customers where fabulous food and exciting entertainment can come together. The mobile game, GemJump, is running on the FunWall social gaming platform which allows gamers to participate in multiplayer tournaments with other gamers in any public location. GemJump is a visually striking endless jumper game where players guide a faceted sphere up an ever twisting 360-degree spire by jumping from gemstone to gemstone. The higher you climb, the greater the number of points you accumulate. 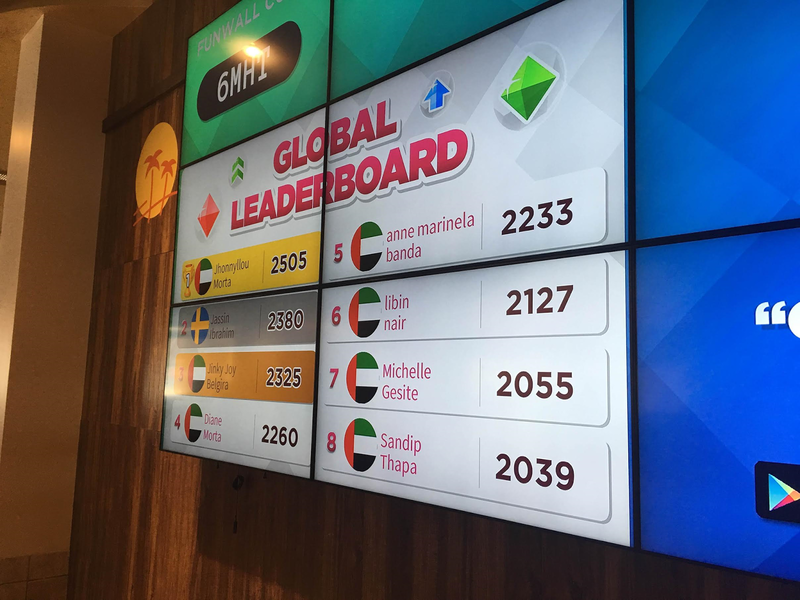 The unique FunWall leaderboard will not only allow gamers to see how they match up against their competition in the local CaliBurger, but also how they rank against every other player in the world. Vijay Chinnasami, the CEO of CaliBurger Malaysia said that CaliBurger has been in Malaysia for a year and a half now, they are proud to include its Malaysian outlets into its global gaming tournament. 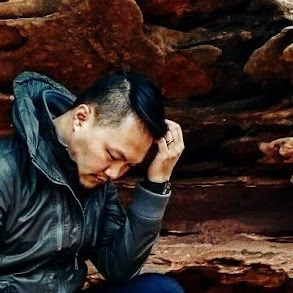 The tournament will be great platform to not only bring mobile gaming enthusiasts together but also strengthen affiliation between CaliBurger outlets around the world. Any CaliBurger customer can participate by coming to a restaurant and joining the action via the FunWall game mode integrated into the GemJump game. Tournament play will occur during normal restaurant hours. The individual global champion will be the player with the highest number of FunWall points accumulated across the entire period of the tournament. With only a few days left till the end of the tournament, gamers can try out their gaming skill and luck in winning that RM40,000 that’s up for grabs. You can start practicing by downloading the GemJump game from an App store selecting “single player” mode on their mobile devices. A further release of the GemJump game prior to the competition will include “FunWall” mode allowing gamers to join the multi-player global tournament. For more information on CaliBurger’s Gem Jump Global tournament mechanics, please visit https://caliburger.com/gemjump. Apart from the USD $10,000 grand prize, there will be four runners-up who will stand to win the latest Apple iPad Pro’s. Daily prizes of food and beverages from the CaliBurger menu will also be given away. CaliBurger outlests in Malaysia can be found at Sunway Pyramid and Avenue K with a 3rd up-coming outlet due to open end of September at the new Utropolis Marketplace in Glenmarie.